We were contacted by a brand new venue asking us if we could deliver some beer for their grand opening. What an honour as a new brewery to supply stock for the launch. The venue to which we refer is Cathays Beer House in Cardiff. We had a quick look around when we were there, even though it wasn’t finished we could tell it was going to shape up to be a great looking venue. They will be opening for the first time on Thursday 6th of December at 17:00. 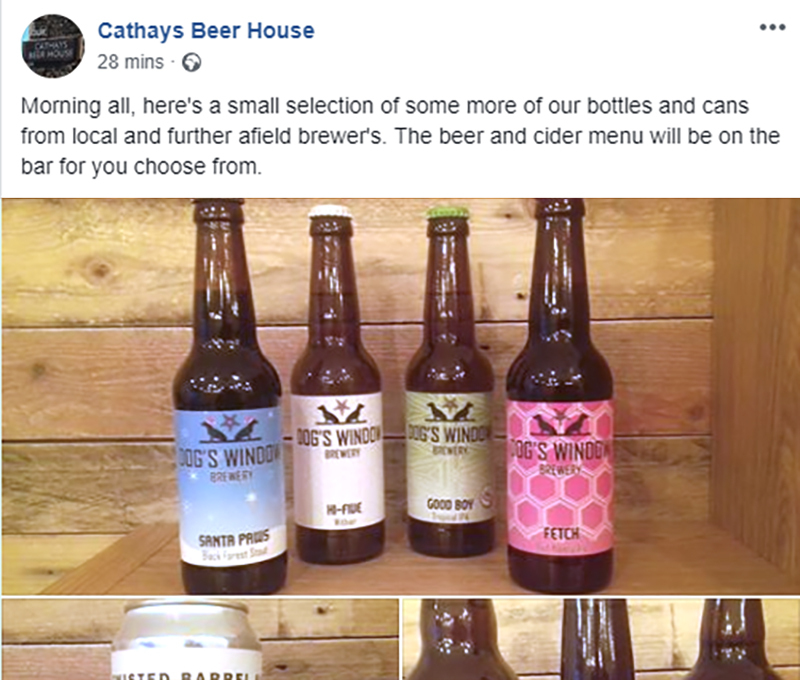 For more details about Cathays Beer House check out their Facebook page.